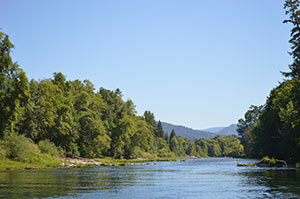 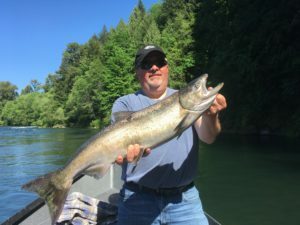 The North Umpqua River offers excellent fly fishing for trout. 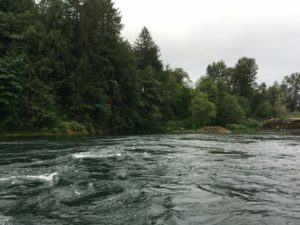 These trout are very plentiful and eager to take dry flies off the surface or nymphs under a strike indicator. 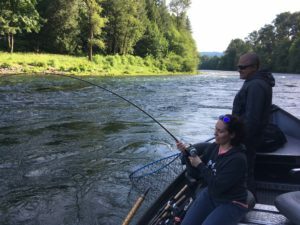 The flyfishing for these North Umpqua River trout can be accomplished for any skill level. 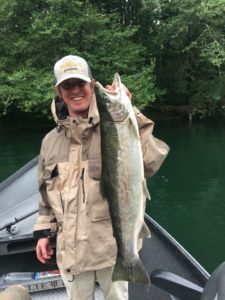 I can teach anglers in the morning how to fly fish and have a very successful day. 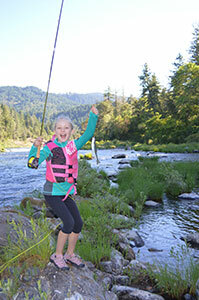 These trout can be caught by kids and would likely hook anglers on flyfishing for life. 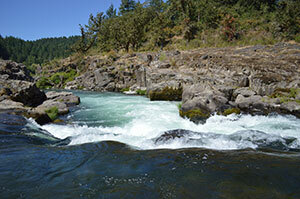 North Umpqua River fly fishing for trout is done amid some of the most scenic drifts. 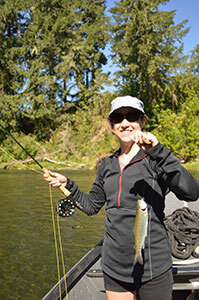 We fish for North Umpqua River trout from spring through fall.